I created this card for Bellarific Friday earlier this month, but it is beyond me why I failed to post it! 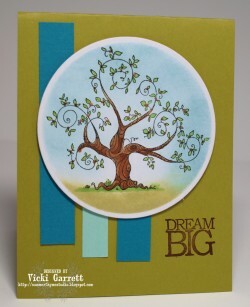 I really like this Heritage Tree image with it's swirly design and decided it needed to really POP from the paper. Thus, my clean and simple image. They'll be so much more meaningful when you get to the top of that tree you have your sights on! Dare to get Dirty 2013! Do you Dare to get Dirty? 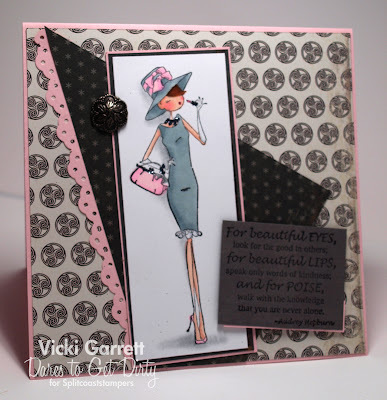 If you a Member of the Fan Club at Splitcoaststampers, you can join the Dirty Dozen and the Dirty Dozen Alumni for a FABULOUS week of challenges! They have some super prizes for random player/winners. If you get the chance to play along in the Dirty Challenges, we'd love to have you!!!! This weeks challenge was a Sketch. A BEAUTIFUL BEAUTIFUL Sketch!!!! 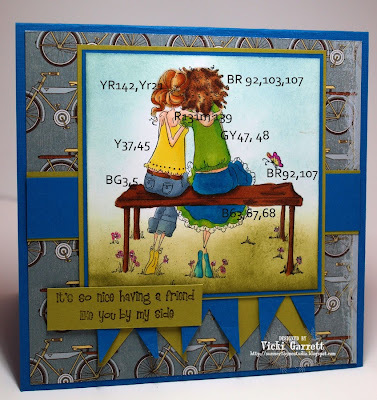 I have had Belinda and Bernadette Bench Buddies in my stamping cache for quite awhile, but hadn't taken the opportunity to ink it up~~~ LOVED colouring this one with my Touch Markers and have even given you a colour map to see which one's i've used! 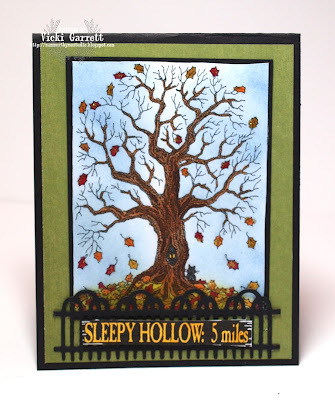 Be sure to head on over to BlogaBella to check out the great creations from Da Sistahood!!!! Leaving you with one last chilly selection for today's hop!!!! I LOVE the sweet snowman images that Mitra is releasing now and this one especially!!!!! How cute is this image?? If you want to do it all again, or you landed here randomly, please Head over to the Impression Obsession Blog where the Hop will commence!!!! 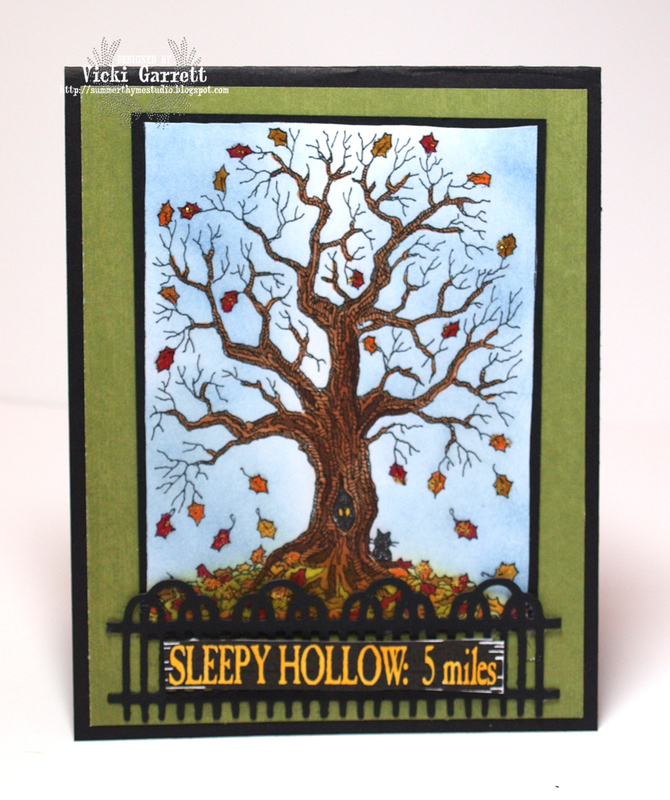 Be sure to leave comments to win some $$$ toward some of these great great stamps and dies! You'll be seeing a LOT more of the New images here in the near future! Need to cool down? 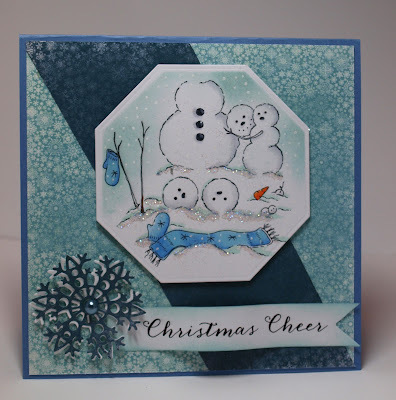 Here's a Cool Winter Card that might make you a little Chilly!!!! Hope you've been enjoying the hop this week! There's been beaucoup de Eye Candy eh?? I've been playing with Sentiments again. I used to sing it to my babies when I was expecting!!! 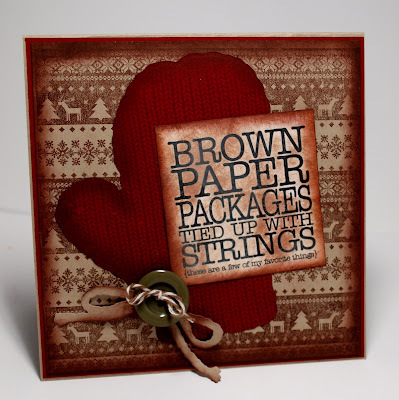 Naturally I had to keep the card Brown Paper Coloured, So I based it with Kraft Cardstock and used the fun Cover a Card Nordic Background to give it a little more dimension. and if you haven't, my blog is the final stop on the hop! 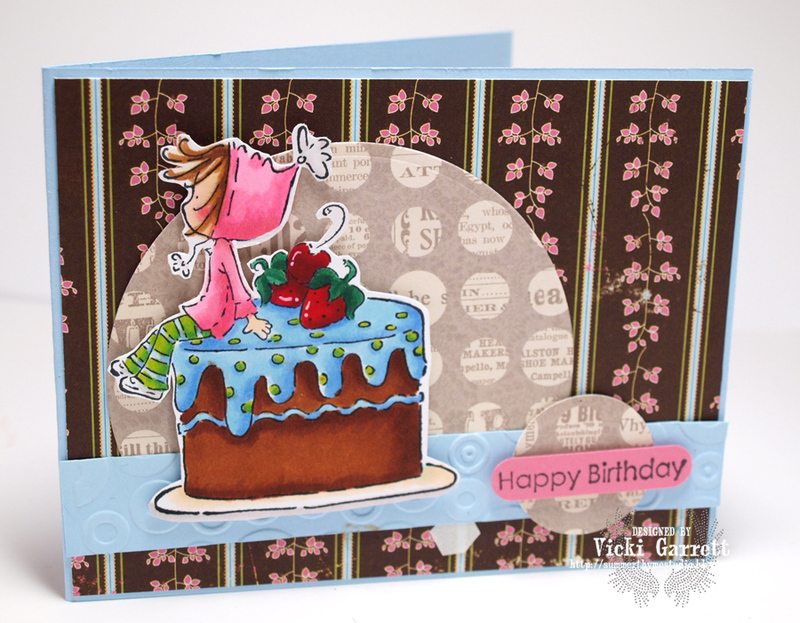 Be sure to leave a comment on each blog as there will be a draw every day for stamping bucks!!! 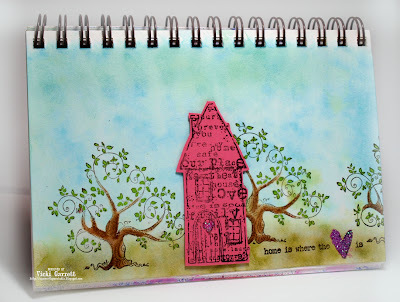 If you're already on the hop, you will have arrived from Kittie's Blog! I am the last spot on the hop, so if you're here, you are all done!!! If you haven't started, please be sure to head on over to the Impression Obsession Blog to begin as well as to get all the rules regarding the daily giveaways! In autumn, it's a nice feeling! Sweater Weather, my favourite!!!! I coloured the Tree in with my Touch Markers! See you tomorrow with another peek!! We have some more Impression Obsession Goodness for you today! Today I'm sharing Barnwood Birdhouse. 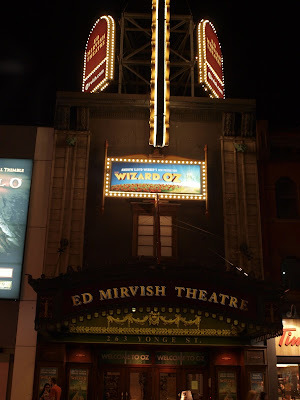 This weekend, I was treated to the MOST AMAZING Production! The show was beyond my expectations. The Visuals were incredible, the company wonderful and with new songs and some additional comedic lines, thoroughly enjoyable!!! I created this Journal Page in honour of my wonderful weekend!!! I used the Sponge and Spritz Technique to make the background! 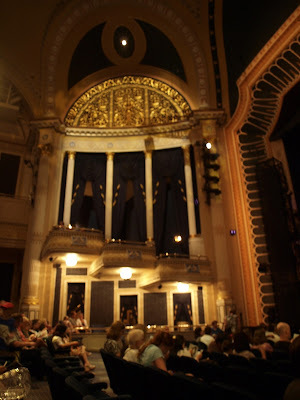 The inside of the Theatre was Stunning! I clearly remember the feeling I experienced the first time that the door of the little farmhouse opened up into Munchkin Land. 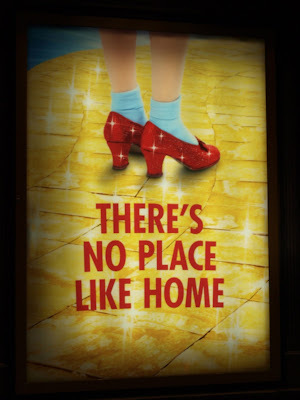 Ohhhh the visual experience of the Brilliant colours and that Yellow Brick Road. I had to watch it year after year. It seems that we are always searching for those qualities that we think that are personally barren; courage, empathy, the ability to emote, intelligence. Often we seek to fulfill these desires externally, through others and sadly through materialistic means. What shines through in the Wizard of Oz, is that we really don't lack these attributes. If you look deep within yourself they're there. Perhaps they need to be developed, but they are there. 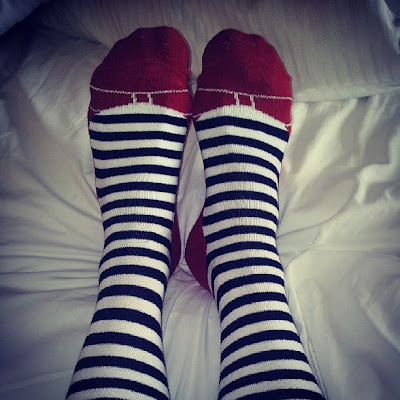 and the Kick A** Socks that my Sweetheart Surprised with. 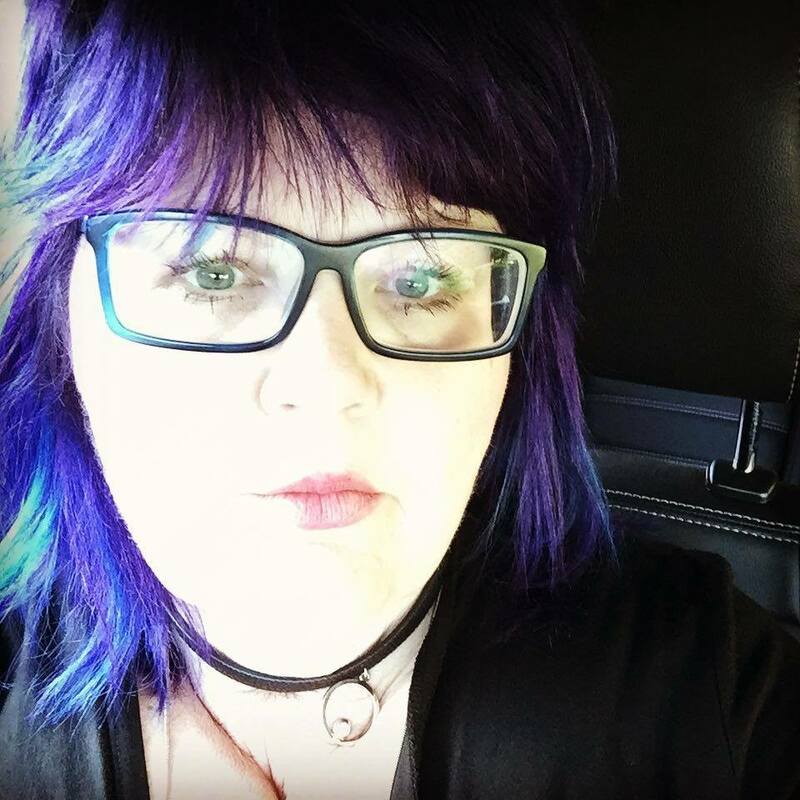 IO New Release Blog Hop Week! Just a little note... I prematurely pushed the Publish Button and EEEEP~ The Hop doesn't start until tomorrow, Monday July 22nd. Seeing that it was a little on the chilly side here today (not really, but cool in comparison to the last few weeks) I thought a wintery card would be welcome! 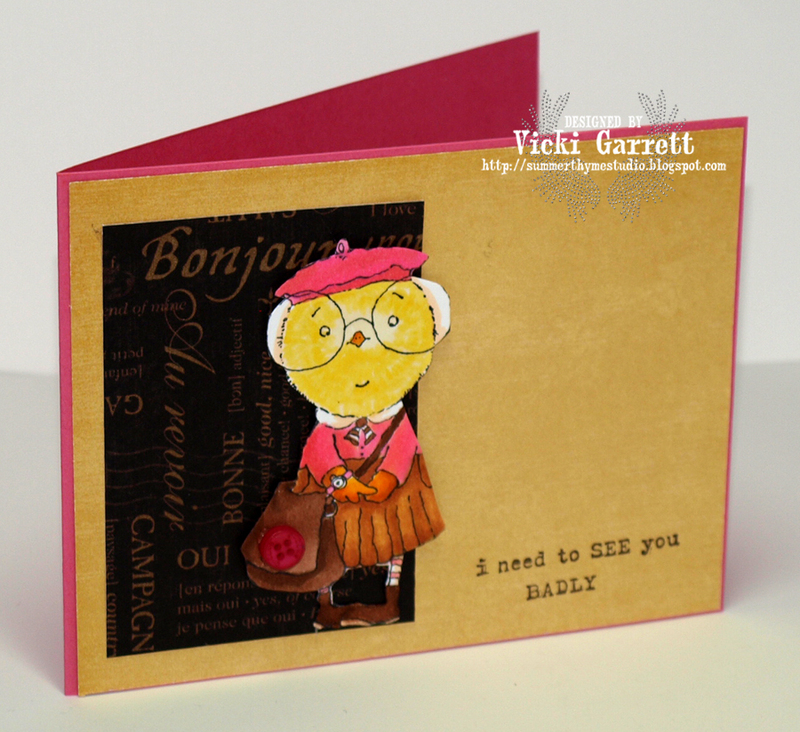 The Impression Obsession team is showcasing some new images being introduced this week at CHA! You can visit the I.O. 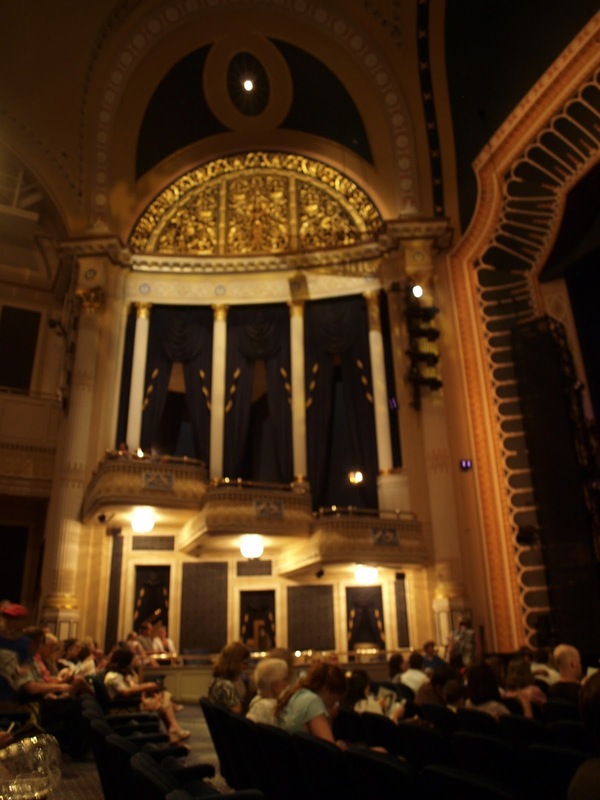 Blog each day this week for links to the previews. Be sure to leave a comment on each designer's posts throughout the week for a chance to win a $25 gift certificate daily from Impression Obsession!!! and I'm the last stop on the hop! Come back tomorrow to see more new cool stuff! Bellarific Friday! Make it Christmasy! Holy Mackerel! Is it Friday already? The weeks are just flying by! I've been on training at work for the last three weeks and oh boy....longgggg days! By the time I got home each night, I was exhausted!!! I did get a little time to stamp this week though and especially to create this sweet card for the Christmas Challenge. 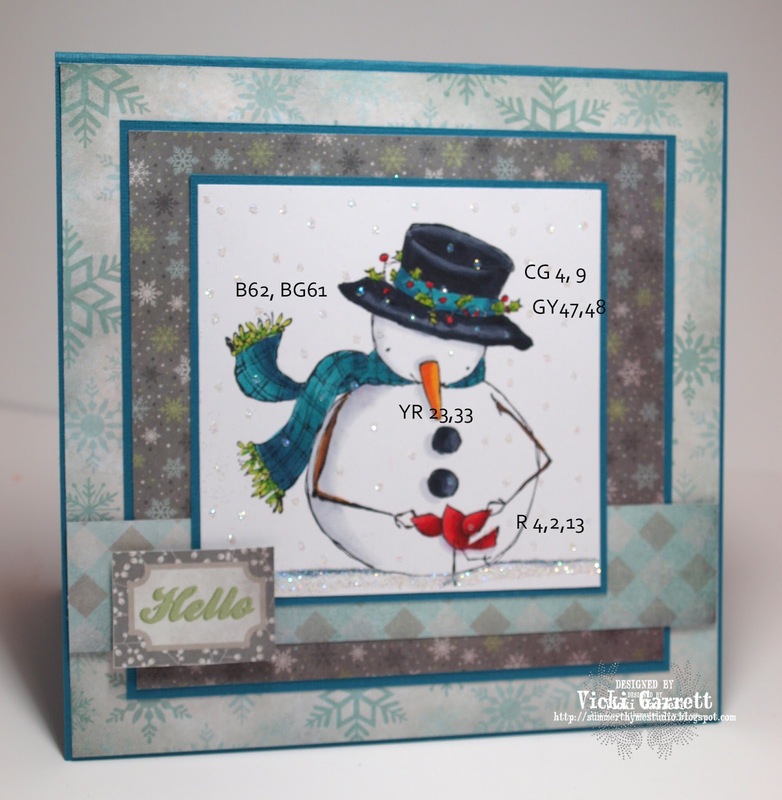 Snowmen are my favourite winter image, Christmas or otherwise and I had to pull this fellow out and work with him for the challenge! He is absolutely Scrumptious!!! Scrumpdillyumptious in fact!!!! He's Frostier! I know they will be Delicious!!!! 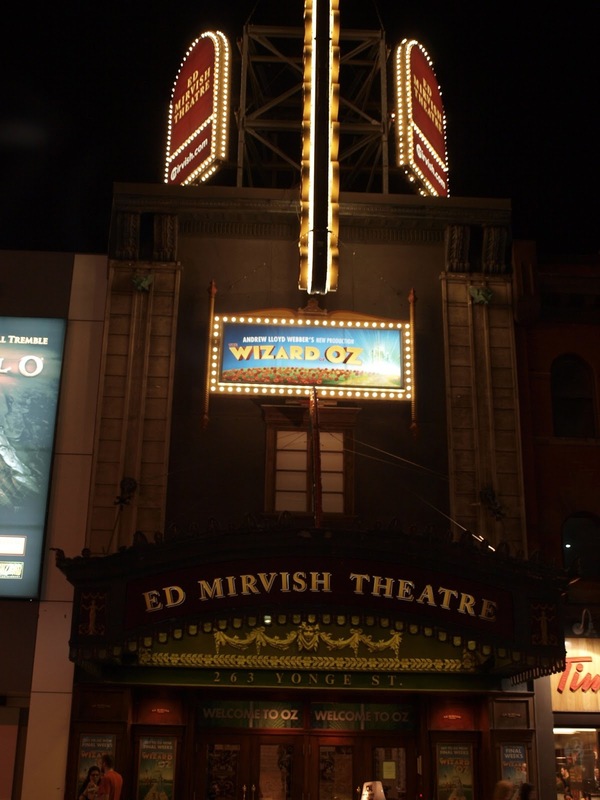 Send your Entry to Em and you could be the winner of a Gift Certificate! SQUEEEEEEEEE!!!!! I am SO grooving on this chicklet!!!! Oh my my!!! I can't get over Mimi's Scrumptiousness!!!!! 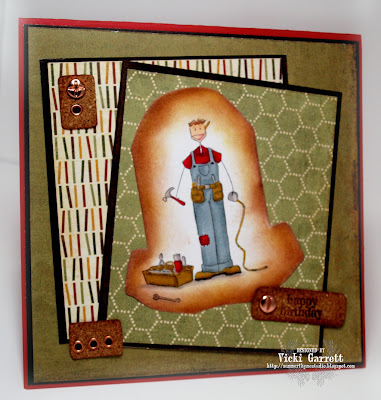 Head on over to Blogabella to see the DT and Sistahs sweet creations and of course to check out the sketch for next week! Just about every September, I love to take a Sunday drive and pick Apples!!! I LOVE this new image from Impression Obsession that will soon be released!!!! 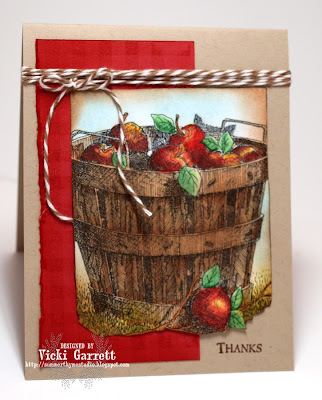 I combined Prism Pencils (Apples and Leaves) with Touch Markers (Basket and branches) to colour this pretty image. I created a background with the Gingham Cover a Card Stamp, which is one of my go to stamps for backgrounds! Use all IO dies/stamps in your post. The focal point of the card must be IO stamp(s) or die(s). Card shape templates are allowed. If you have a question please email me. Taking part in other challenges is allowed if our company is listed first. Ending time is this challenge will be the following Wednesday, July 24, at 10 p.m. EST. 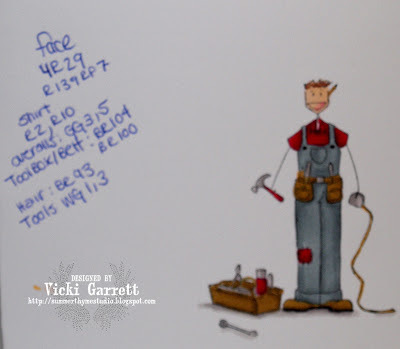 The drawing is for a $25 Gift Certificate, for use in our on-line store, picked by Random.org. The players are notified of the winner by email the night it ends. 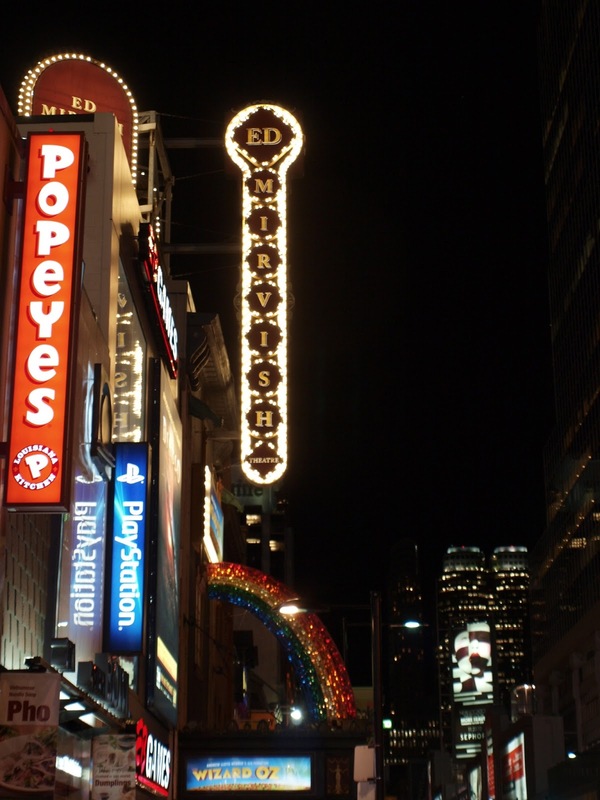 The winner's name will be posted with the DT Thursday post on July 25. All entries are posted in the Customer Card Gallery under Card Galleries at the top of the page, with a link back to your blog/gallery post. Head on over to the IO Blog to link to today's Players! A little more exciting news! We have a New Designer on the Team! Ellen is Super Talented and I'm sure you will be simply awed by her creations!!! Oh my gosh! I can't believe that it's Friday already. The summer is flying by and I've barely had a minute to post!!!! This weeks challenge was a sketch! I think this one is fabby!!! What better an image for a Birthday Card than Ramona and her Cake! I hope to get a little more organized in the next couple of weeks so that you'll see some more regular posts. 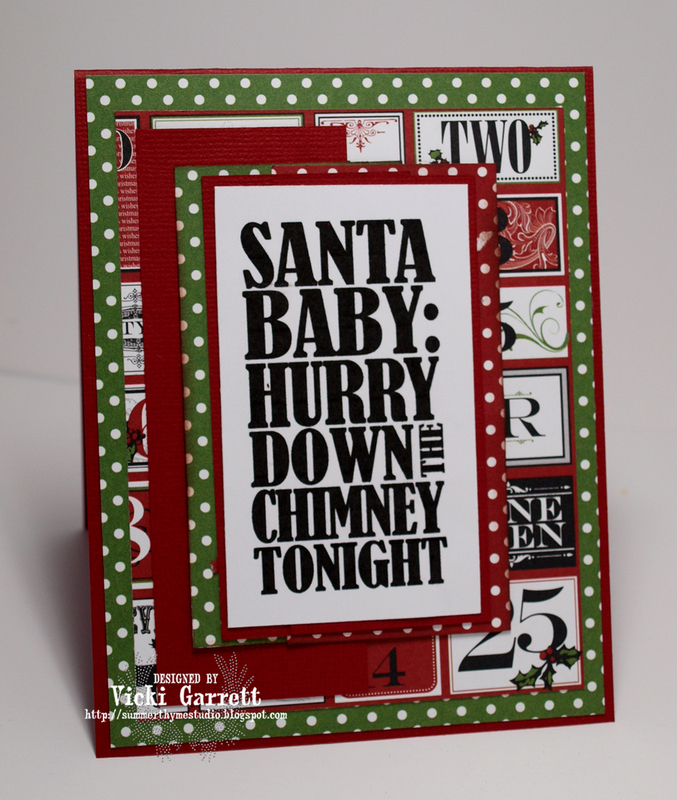 Im looking forward to next week's challenge, which is Christmas in July!!!! 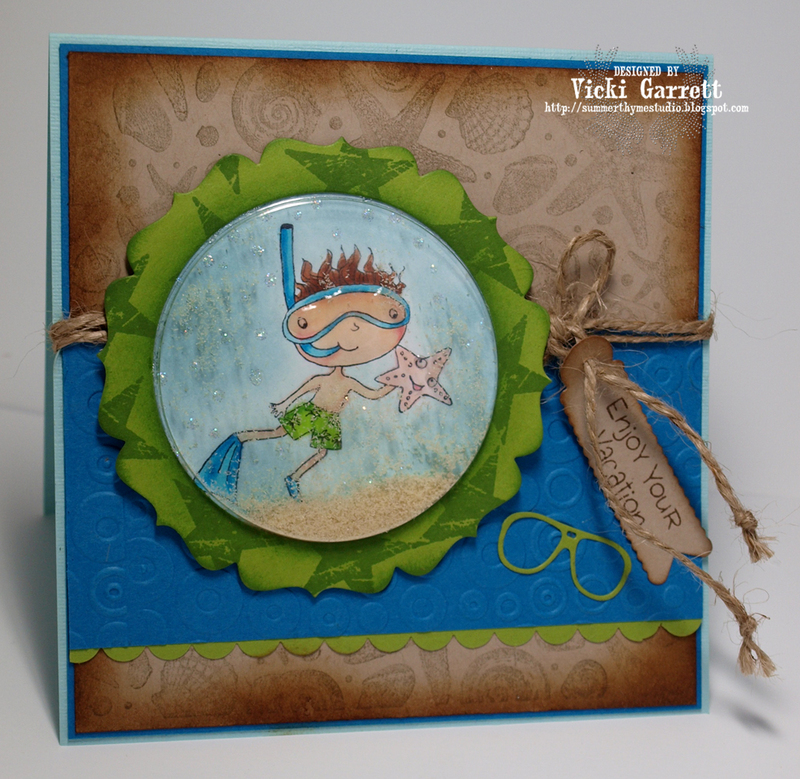 Maybe making a cool card will help me to beat the heat! 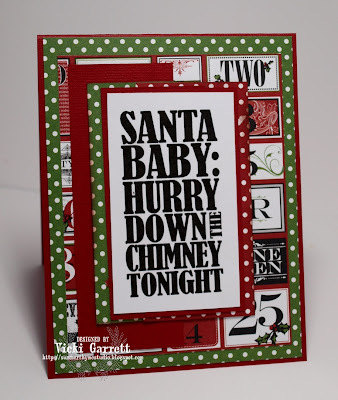 Make sure you hop on over to Blogabella to see all the creations and get the scoop on how to enter your Christmasy Creation! Shakin' it up with Impression Obsession!! Today, we're Shakin' it up over at Impression Obsession and showcasing these fabulous Shaker Pouches. 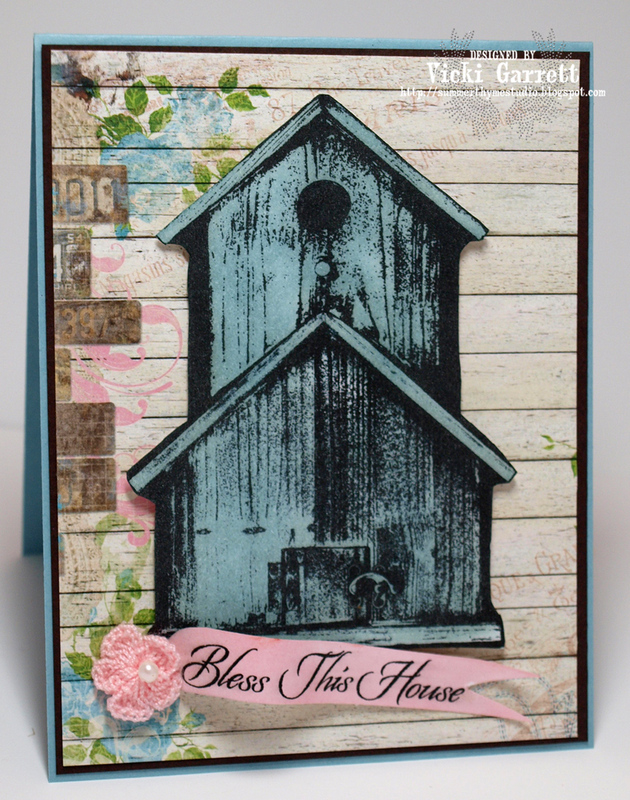 They make designing Shaker cards super easy and especially because there are also dies to match! The dies come in Circles and Squares. 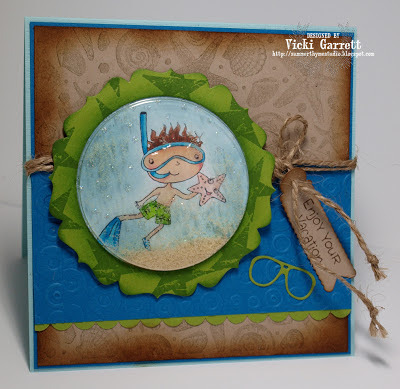 For the main image of my card , I used this sweet summer stamp called Max. Super cute eh? I set the sentiment on a Tag Die Cut from the Flags Die Cut Set and finished the card off with a pair of Sunglasses. I filled my shaker with Flower Soft Ultrafine Sand and Tied the Twine into a jiggity jag kinda knot!!! So I decided to create a frame with a snowman on the lower left hand side. Not only did I have to use the Coluzzle to cut out the middle of each panel, I couldn't go around quickly, because I had to cut around the snowman....yep, fussy cutting. What in the world did I get myself into?? Well let me tell you this part. I got myself into forming a relationship that is dear to my heart. The Swap Hostess happened to be my BFF Jacqui, whom i'd never met at that point. She lives over four hours away, so you might be wondering how this happened. "Your cards did not arrive, did you send them?" I sent them Jacqui! (Thinking to myself that I sure hope after ALL that, she doesn't think i'm a flaker). I was crappin' a brick for sure for about another several days before they actually arrived. Get a Tracking number for your swap cards! I do know that Jacqui has saved it all these years and I think if I hadn't have called her to profess that I wasn't a flaker, we wouldn't have the amazing friendship we have today. Here's who is playing today, so you are also welcome to follow the links on my sidebar!! 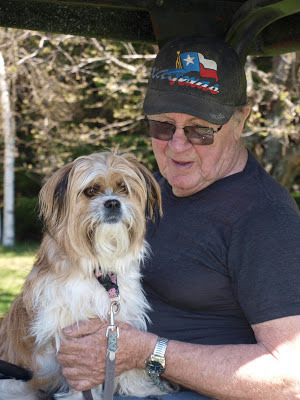 Dad is celebrating his 78th Birthday today! It's great to see you up and moving again. It's fitting that I used fixafella for his Birthday Card. He is still working at 78 years of age and I've never seen someone with such a work ethic. He was also the patient parent when I was growing up and I learned a lot from him. Here he is with his Sidekick Sydney!